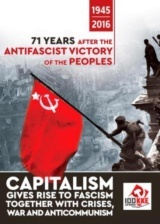 Τhe work “Achievements and successes of the working class in socialism”, published by “Synchroni Epochi”, was presented by the KKE's Central Committee, on July 12th in Egaleo, Athens. “Our future isn't capitalism. It is the new world, socialism”! This slogan was shouted by hundreds of members and friends of the KKE and KNE at “Alexis Minotis” municipal theatre of Egaleo, where the publication was presented. Working people from various sectors, who live the intensive capitalist exploitation, listened with interest the significant information that the new publication contains and which proves the superiority of the socialist system. The publication- a result of a collective effort by the Central Committee's department for Labor and Trade Union work- consists part of the KKE's greater multiform activity for the 100th anniversary of the October Socialist Revolution . Major speakers at the event were Yannis Protoulis, member of the Political Bureau of the CC of the KKE, Stefanos Loukas and Vivi Dagka, members of the CC of the Party. 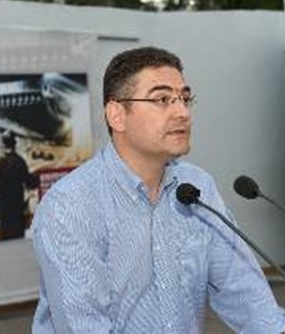 The cultural programme of the event included recitation of Bertolt Brecht's poems, from Greek poet Kostas Varnalis' work “What I saw in Soviets' Russia”, revolutionary soviet songs and the hymn of Comintern. "This is a publication that takes its place next to the Declaration of the CC, next to the many publications of the Party that have been issued and those that will follow in the battle for knowledge, so that the truth will shine against slander, mud and distortion and, at the same time, for the invigoration of the fruitful debate for today's way out from the system of capitalist exploitation, of crises and imperialist wars. We are addressing a special call. A call to give a great battle to conquer and spread the knowledge, the truth for socialism that mankind met. 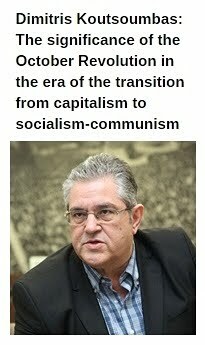 A fight which is inextricably connected with the pioneering struggle which is developed by the members, friends and collaborators of the KKE on all the acute problems faced by the working class, the youth." 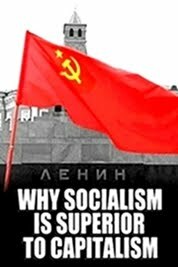 "The socialist construction in the 20th century, which began with the Red October, proved that the labor movement can create revolutions and prevail, can win in only one country or a group of countries. It proved that this is not a utopia, it was constructed for decades. 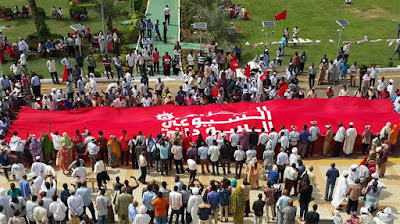 An important aspect is that the workers' achievements in socialist states, for many decades, had been a point of reference and contributed to the conquest of achievements by the labor-popular movement of capitalist societies". 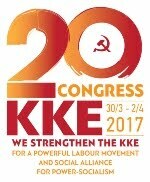 "The KKE was and remains unwavering in defending the USSR socialist course's offer, in general the socialist construction during the 20th century, in the struggle for social progress, for the abolition of exploitation of man by man. We highlight the contradictions, the mistakes and the deviations under the pressur of the international correlation of forces, without leading ourselves to nihilism. Since the early 1990s, we have characterized the 1989-1991 devenopments as a victory of the counterrevolution, as an overthrow. 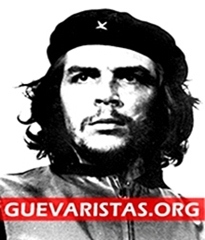 We reject the term "collapse", because it downgrades the counter-revolutionary activity, the social base in which it can be developed and dominate, due to weaknesses and deviations of the subjective factor during the socialist construction, as it happened. Life showed that the problems which were presented had not been properly interpreted and hadn't been dealt on the basis of strengthening and expanding the communist relations, the central planning, the socialization, the workers-social control. 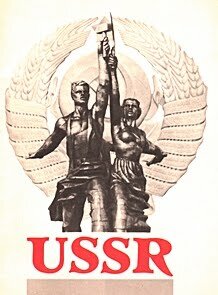 Thus, insteading of seeking a solution onwards, to the expansion and strengthening of the communist relations of production and distribution, it was sought backwards, in the widening of the market, in "socialism with market", that is the utilization of tools and production relations of capitalism." 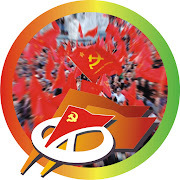 Protoulis also referenced to the 20th Congress of the CPSU in 1956 as a "turning point" where various opportunist perceptions were adopted, as well as to the "Kosygin reforms" and the consequent weaking of the central planning. "The bourgeois propaganda of the "sovietologists" continues today, turning white into black. 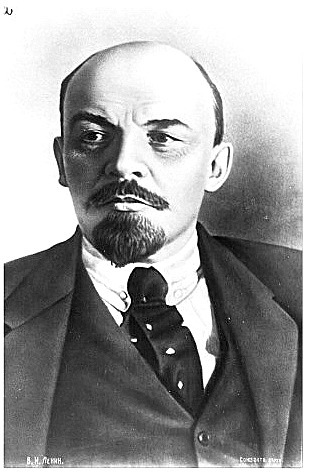 It projects the concepts of "democracy" and "freedom" through the bourgeois criteria, not the ones of the workers of course, but for the capitalists. Freedom to exploit, to have people in their work, to be the bosses, to live and enrich from the hard labor of the others and, as a democracy they mean the one which stops at the gates of their enterprises. The real content of freedom and democracy in capitalism is the economic coercion of wage slavery and the dictatorship of the capital in society in general and especially within capitalist enterprises. The greatest achievement which made possible the realization of all the rest after the October Revolution was the revolutionary workers' power, the dictatorship of the proletariat as a state which expressed the interersts of social majority of the exploited ones and not the social minority of the exploiters. It emerged as a superior form of democracy."